What happens when two of the greatest minds of the 20th century collide? On the day England enters World War II, legendary psychoanalyst Dr. Sigmund Freud invites the rising Oxford don, C.S. Lewis to his home where the two clash about love, the existence of God, and the meaning of life. 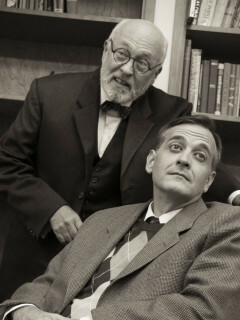 This deeply touching play is filled with humor as it explores the minds, hearts, and souls of two brilliant men addressing the greatest questions of all time.